A little while ago a gentleman brought a Porsche to us - he had borrowed it from a friend and by way of a thank you, wanted to get the wheels refurbished and also expressed interest in a valet (We could all do with friends like that!). So we carried out a full appraisal of the vehicle with the customer, we do this with every car that is in for valeting. In an appraisal we point out all the areas which we feel require attention, we tell the customer what we are capable of and make recommendations based on the circumstances of the vehicle and customer (this is why we ask you lots of questions when you phone and when you get here). 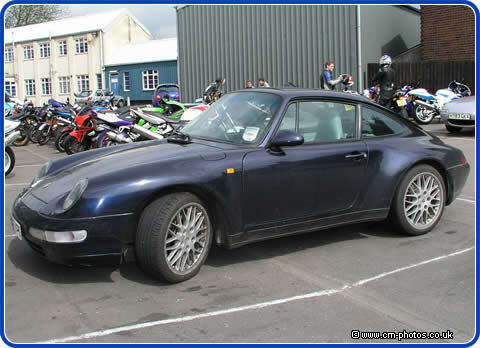 This particular vehicle suffered from problems which are common on Porsches and a couple of other sports car makes. Firstly the polished metal split rim of the wheels have become corroded - this was of course why the customer brought the car to us in the first place. 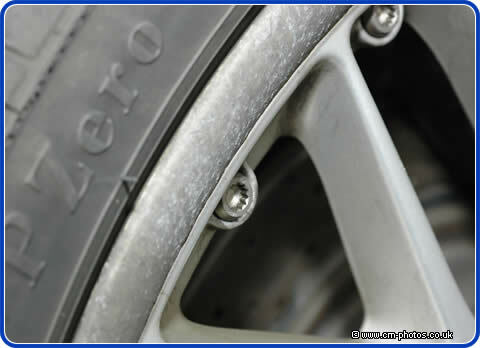 This is very common on Porsches and BMW and something we are well used to dealing with. 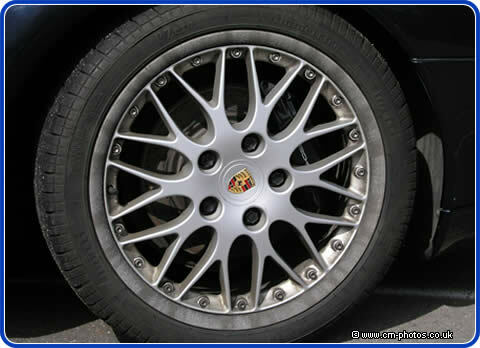 (See our Alloy wheel refurbishment FAQ for more details). This rim was once polished and lacquered, but this kind of finish seldom seems to last more than 18 months before corrosion sets in. On this wheel the corrosion is complete and the lacquer has completely peeled away.